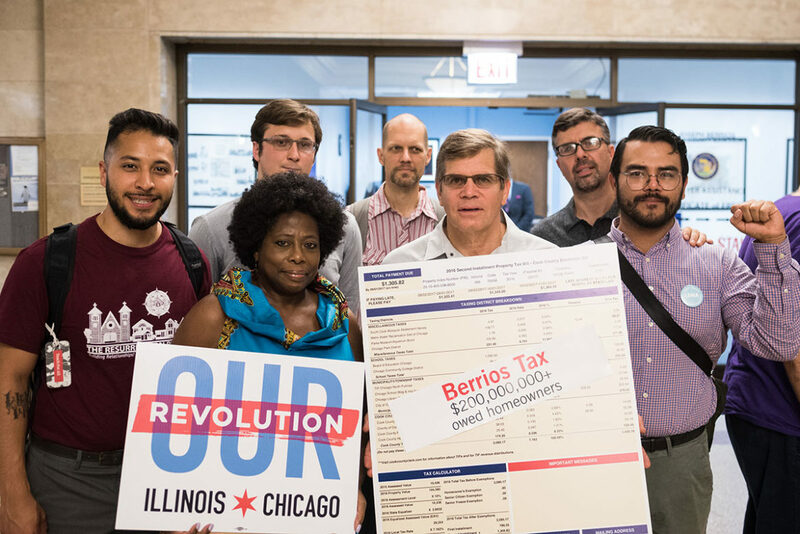 Community groups outlined their plan to reform Cook County’s regressive tax assessment system outside of Assessor Joe Berrios’ office on August 1, 2017. As the investigation discovered, Berrios announced in 2015 that he was implementing a new, state-of-the-art computer model designed to improve accuracy and reduce bias, but he continued to use the old model. Berrios refuses to release details about how his office values properties – what factors are considered and how they are weighted. He’s now appealing a judicial ruling ordering him to fulfill a Freedom of Information Act request by the Tribune for that information. The assessor touts his “hand-check system,” by which property valuations are adjusted on a case-by-case basis. That kind of discretion gives Berrios “great power” and is “totally unacceptable,” Kaegi said. Berrios is just as opaque when it comes to individual homeowners, Kaegi said. Every other assessor in the state responds to homeowners’ queries by providing details about how their homes were valued, he said; the Illinois Property Tax Codes requires it. Berrios refuses to do so. That makes it impossible to know the exact source of bias in the assessments, though “we do know the output is producing discriminatory results, for low-income minority neighborhoods and for other outlying areas,” Kaegi said. He’s certain, though, that the assessor’s model fails to take adequate account of the impact of foreclosures and bank-owned properties–one likely reason regressivity “exploded” following the 2009 housing crisis, according to the Tribune. Berrios cites the large number of appeals – they’ve tripled in number over the past dozen years – as evidence that the system is responsive. But the investigation showed that the appeal process consistently increased unfairness, in part because moderate-income homeowners are less likely to appeal. Kaegi said a better measure of the office’s effectiveness “is how well are you doing for people who don’t appeal. 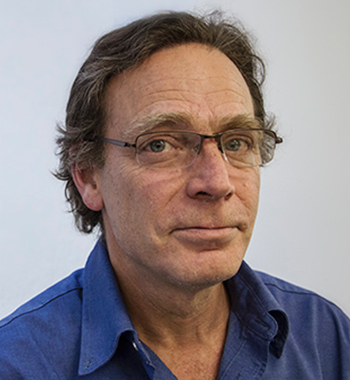 When the assessor says, ‘Oh, you should just appeal,’ that’s admitting that the system doesn’t work for the average person, since the majority of people do not appeal.” He thinks the office should focus on getting valuations right the first time, and instead of promoting appeals, use its resources to educate homeowners about exemptions, which he says is one way to help long-term homeowners facing pressure from gentrification. Kaegi stresses that the biggest distortions to the system come from appeals to commercial buildings downtown, which studies have shown account for as much as 80 percent of appeals reductions. “While there are many factors creating bias in the system, the huge amount of value that’s being marked down downtown” is “the biggest source of bias,” he said. He points out that the Willis Tower’s valuation is based on a market value of about $600 million, while the building sold two years ago for $1.05 billion. Or Trump Tower, where a politically-connected law firm won a 70 percent reduction on the value of its retail space. “It doesn’t have to be that way,” he said, describing a straightforward process of valuing a commercial property based on its rental income and capitalization rate. The bottom line is, every questionable tax break for downtown properties means higher taxes for everyone else – and the tax burden has been steadily shifting from commercial to residential properties for years. Berrios has cited his Latino heritage and the fact that he grew up in Cabrini-Green as a defense against charges of racially-biased assessments. But Latinos were heavily represented among a multi-racial group of community organizations that protested outside his office Tuesday morning. Our Revolution Chicago wants to advance a local progressive movement built on grassroots organizing, not patronage. After decades of imbalance, commercial property owners can afford to shoulder more of the tax burden. Berrios and company also has been responsible for shifting more tax burden to residents and off of business. Supposedly this helps business and the homeowner be damned. Businesses win tax appeals 11x more often than homeowners and businesses see 3% increases whereas I had one of 37% and multiple increases over the decades between 20-31%. Business has the ear of Joe B and the public pays for it.